A voice guided tour helps you explore the features and benefits of these Pylon Electronic products. Cick on the links above, keep in mind the presentation may take a moment to load. Once the presentation has started click on the help button for instructions. 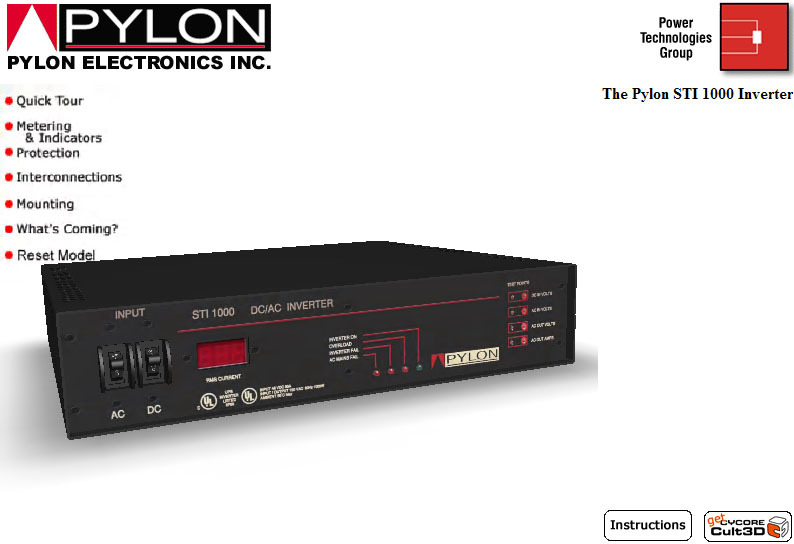 The product presentations were developped at Cycore North America for Pylon Electronics. The BE48 was modelled with help from Johnny Leung.